Parkinson's Awareness Week aims to raise awareness about this potentially devastating condition. During this week, individuals are encouraged to hold their own event with family, friends and colleagues. These events support the awareness and research work for Parkinson's UK (formerly known as the Parkinson's Disease Society). Funding is needed for vital research work into the causes and treatments of Parkinson's Disease. Parkinson's UK also works to support those living day to day with this condition. Each year Parkinson's Awareness Week focuses on a different aspect of this condition. 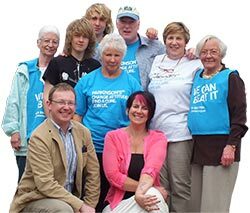 For example during 2014, the main focus was 'Control', which raised awareness about how people with this disease control and live with the symptoms and progressive nature of Parkinson's. Another focus of Parkinson's Disease Awareness Week is to increase media coverage of this condition. The greater the coverage the more people know what it is like to live or care for somebody with Parkinson's Disease. A progressive neurological condition, Parkinson's Disease affects actions including talking, walking and writing. Parkinson's Disease is named after a London doctor, Dr James Parkinson (1755-1824) who identified Parkinson's Disease as a condition in its own right. Other disorders and Diseases can also include the major symptoms of Parkinson's Disease. Parkinsonism is the term given to the collective symptoms of Parkinson's Disease and other related Diseases. Often referred to as idiopathic* Parkinson's Disease, Parkinson's Disease is the most common form of parkinsonism. Other types of parkinsonism include progressive supranuclear palsy (PSP) and multiple system atrophy (MSA). Both progressive supra nuclear and multiple system atrophy are rarer conditions than Parkinson's Disease. *idiopathic referring to unknown cause. Parkinson's Disease arises due to a loss of nerve cells in the substantia nigra; a part of the brain affected by Parkinson's Disease. Nerve cells in the substantia nigra produce the chemical dopamine, a neurotransmitter, which transmits nerve impulses and allows signals to be sent to other areas of the brain which coordinate movement. A reduction in these dopamine producing cells causes reduced function in the areas of the brain responsible for coordinating movement. About an 80% reduction in dopamine will bring on the symptoms of Parkinson's Disease. Motor symptoms of Parkinson's Disease include tremor, slowness of movement (known as bradykinesia) and stiffness or rigidity of muscles. Non motor symptoms of Parkinson's Disease may also be experienced. These include constipation, depression, sleep disturbances and urinary urgency. These are often differences in severity and the type of symptoms displayed between individuals. What research is being taken into Parkinson's Disease? Research into Parkinson's Disease broadly falls into two categories: genetic and environment research. Genetic research into Parkinson's Disease has so far identified 9 genes linked to this condition. The parkin gene is the gene most commonly associated with Parkinson's Disease. Scientific research aims to determine which factors are involved in the creation, maintenance and destruction of the dopamine producing neurons. Environment research into Parkinson's Disease focuses on possible environmental factors associated with Parkinson's Disease. Is there a way to prevent Parkinson's Disease? At present there is no way to prevent Parkinson's Disease. However, current research is focusing on finding a biochemical abnormality which all individuals with Parkinson's Disease might share. However such findings would help more to predict not prevent Parkinson's Disease. These biochemical abnormalities are known as biomarkers. If discovered, a biomarker could be found through a chemical test given to individuals who currently do not show any symptoms of Parkinson's Disease. Screening techniques could also be used to show the presences of a biomarker. There are rare cases where individuals have an inherited form of Parkinson's Disease. With such cases researchers could test for known genetic mutations as a means to determine an individual's risk of having the disease.